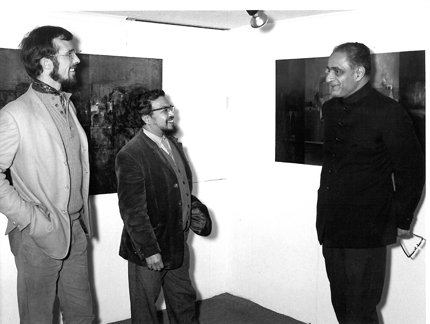 Nick and Sadanand Bakre, at Sada`s 1972 One man Show…with the Indian High Commissioner (I think) Sadanand Bakre was born 1920 in Baroda, India, and died a recluse in the Ratnagiri district outside Bombay in 2007. Sada was a founder member of the Bombay Progressive Arts Group, although he never achieved the commercial success of his co-founders ( Hussain, Gade, Ara, Raza and Souza). He came to England in 1951 and was one of the original and most successful artists shown in Nick Treadwell`s Mobile Gallery. Sada was also a sculptor, but gave up working three dimensionally soon after he arrived in England. He had a one man show at the Commonwealth Institute in 1951, and one at Gallery One in 1959. 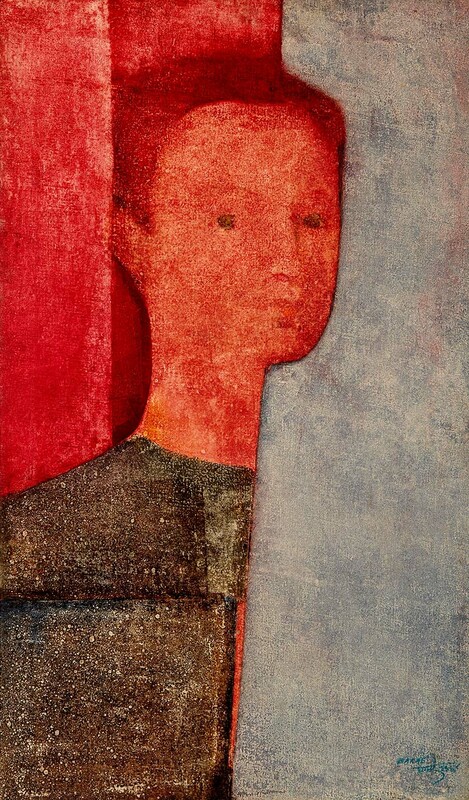 He had four one man exhibitions at the Treadwell Gallery between 1969 and 1975, when he returned to India, having been very upset by the break up of his apparently rock-solid marriage to Dorothy. Throughout the years of the Mobile Gallery, Nick visited Sada often to collect new works and he felt he had a very special relationship with the sweet natured but over sensitive artist. Nick feels he gained considerable knowledge from Sadanand Bakre, particularly about the integrity of art and artists. 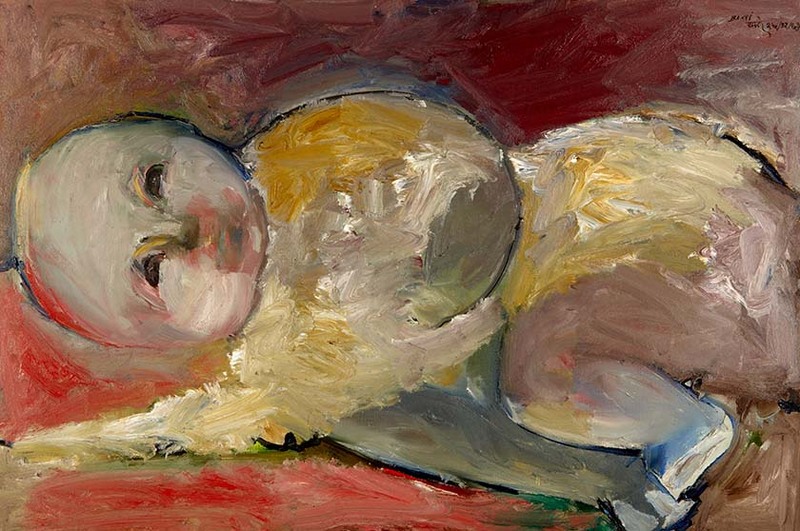 When his son, Simon, was born, Sada gave nick the baby picture as seen in the Collection.